This trip was unparalleled by any place I’ve yet to visit! Sure Prague is beautiful, breathtaking, historical and inspiring, but at the beginning of February, it’s simply…frigid. My roommate and I traveled from London to Prague on discount airline (grad school budget), WizzAir, which was surprisingly adequate. Tip: We saved quite a bit by flying in the late evening! Upon arrival, we took a cab to our hotel and were able to see the gorgeous city lights. Did I mention it was already five degrees below zero at this point? Fahrenheit. The next morning we set out to explore the city. We had both packed our cutest, winter outfits in preparation for the single digit temps, but once we experienced what 5 degrees actually felt like, fashion objectives went out the frozen window. Therefore, we wore every single item of clothing we brought. Literally. At any given moment I was wearing thermals, jeans, four pairs of socks, leggings, three shirts and my coat. We walked out of the hotel to start our day and three minutes later, my makeup was gone. My eyes started watering uncontrollably due to the freezing temperatures! We found a Sephora, fixed the problem and were off! Or so we thought. Thirty minutes later we were inside H & M buying sweaters and more socks. 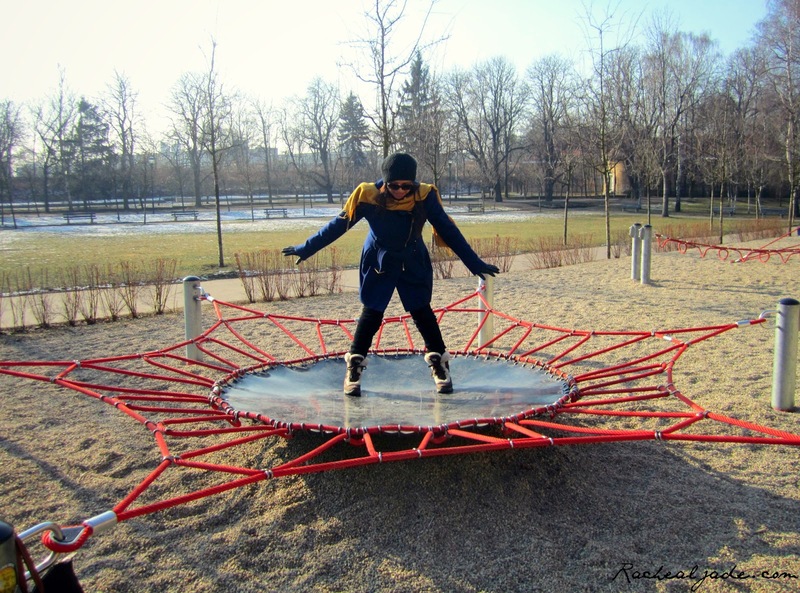 We took the funicular to the top of Petrin Hill and on our way to the Observation Tower, we made a pit stop at the perfectly manicured playground. It was full of modernly-designed equipment–most of which we had no idea how to enjoy, but it was a fun-filled ten minutes! After the 299-step journey up the Observation Tower (also worth the effort! 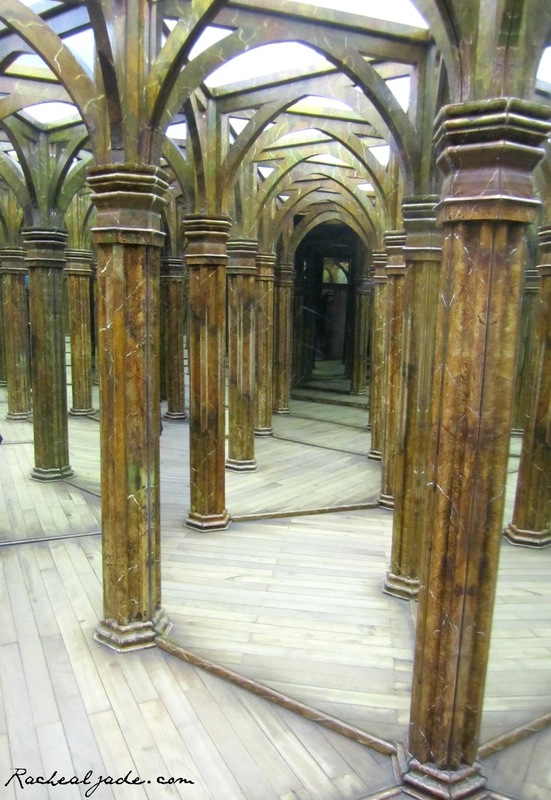 ), we sprinted toward the Mirror Labyrinth. This was absolutely worth the small entrance fee ($2.50) and though it is advertised as a kids’ attraction, we loved the experience. Who doesn’t love a good maze that encourages one’s vanity? 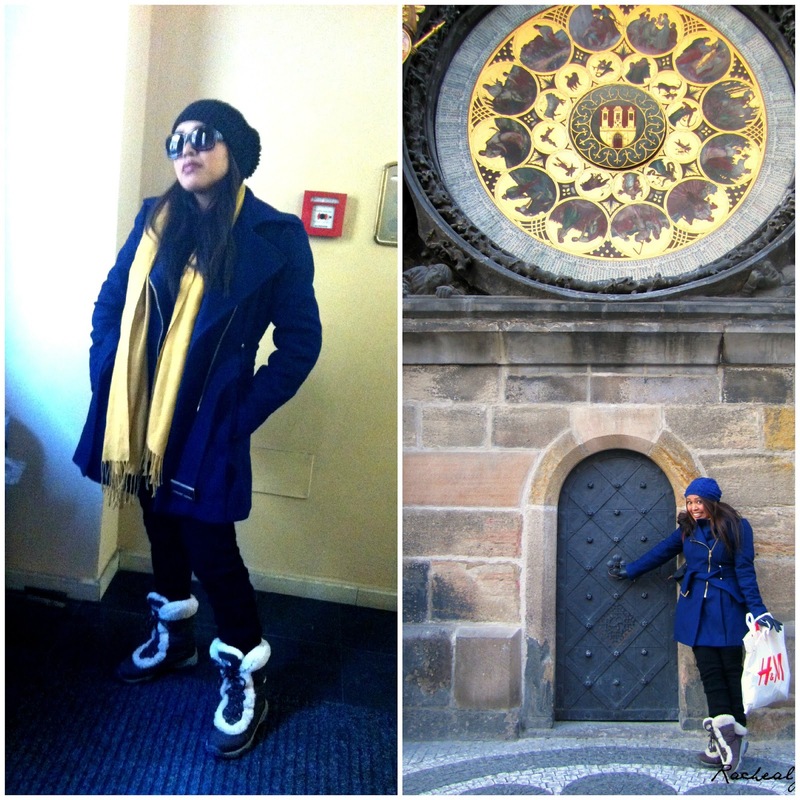 We finished the day by wandering to Old Town Square to see the beautiful Astronomical Clock. Once we entered the square, it was as if the cold disappeared. The colors and architecture were exquisite and captivating enough to take our minds off the cold. 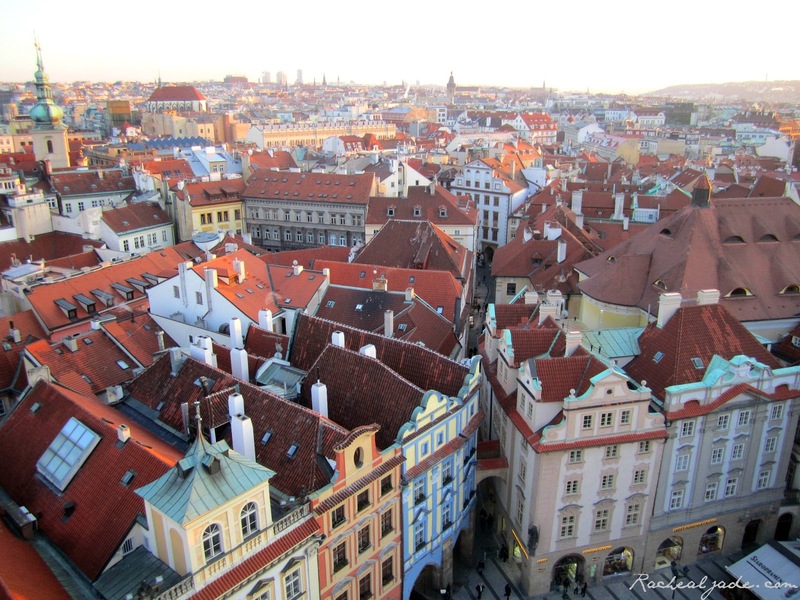 Definitely spend the few dollars to go up the tower–the views are well worth it. 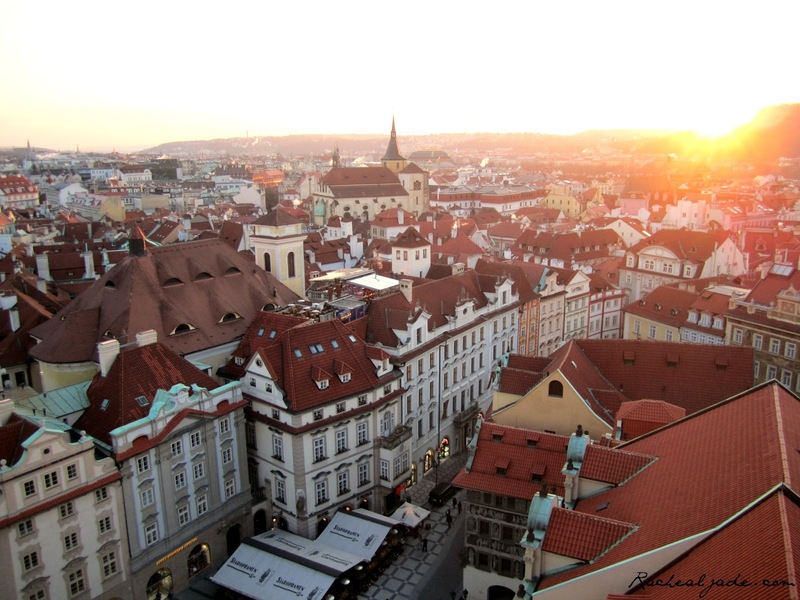 The warm colors of Prague complemented the sunset magically!